The MRC Council sent the Quebec Department of Energy and Natural Resources a request for a temporary suspension regarding areas inconsistent with mining. This means that no new claim could be issued in these areas. 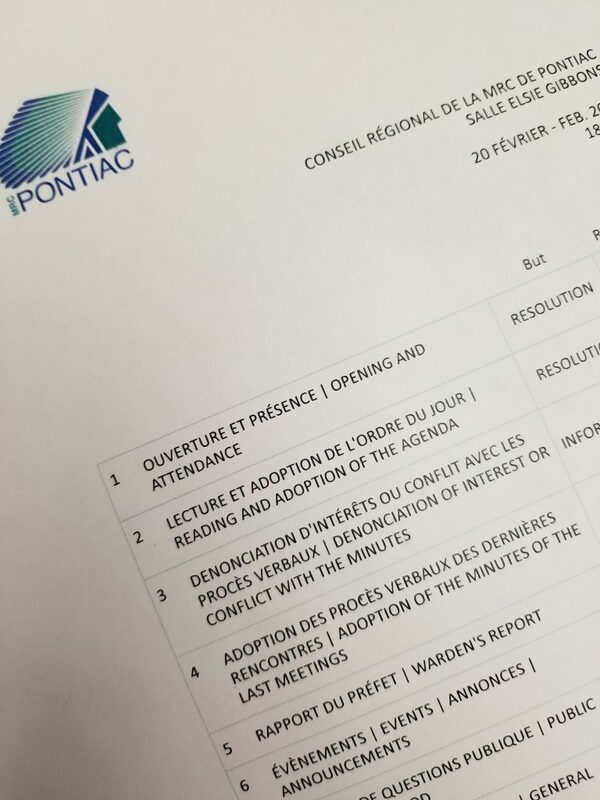 The MRC Pontiac will consult the different stakeholders at the appropriate time in order to get to the final version of areas inconsistent with mining. The MRC asks the government to provide financial assistance for the purchase of water rescue equipment as well as the others MRCs’ support in doing so. 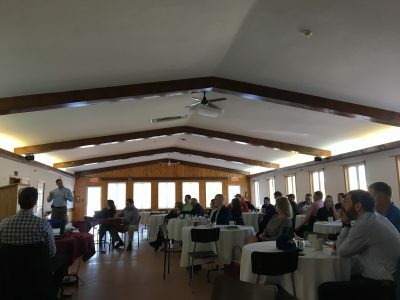 Campbell’s Bay, April 4th, 2019—This morning the MRC Pontiac, with the help of SADC Pontiac, co-hosted Canadian Nuclear Laboratories’ (CNL) Breakfast Briefing on business and procurement opportunities for local entrepreneurs, in a collaboration that also includes the County of Renfrew and Algonquins of Pikwakanagan First Nation. The event took place at the Campbell’s Bay RA Centre and is part of a 5 date information tour. It stems from a collaborative initiative to reach out to local businesses in order to provide information and assistance in learning about work, contract and subcontract opportunities that are available and upcoming on-site at the Chalk River laboratories as part of their $1.2 billion revitalization project. MRC Pontiac’s Management is pleased to announce the appointment of Mr. Travis Ladouceur as County Clerk at the MRC. Mr. Ladouceur holds a Bachelor’s degree in Education from Université du Québec en Outaouais and previously served as Procedural Clerk in the House of Commons of the Canadian Parliament in Ottawa. The MRC is happy to welcome Mr. Travis Ladouceur as a member of its team. 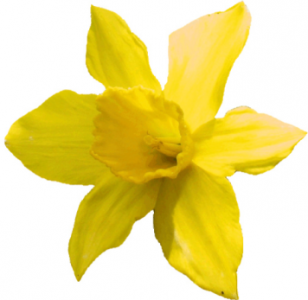 In support of the Canadian Cancer Society (CCS), the MRC Pontiac declared in 2017 the month of April “Daffodil Month.” Daffodil Month is a source of hope and the Canadian Cancer Society encourages Quebeckers to make a significant gesture for those affected by cancer and to fight against all cancers. As a part of our commitment for the cause, we invite you to purchase a DAFFODIL at the reception of the MRC Pontiac at a cost of 2$. For more information about the Canadian Cancer Society or to make a donation, please click here. The MRC Regional Council adopted the audited financial statements for 2018 of both the TNO and the MRC Pontiac by an external auditor. Following his recommendation, the MRC put into place a Disclosure of Wrongdoing mechanism on its website. Jordan Larivière, President of the Youth Council, gave a verbal report of their recent meetings, stating the Council’s goals and the reason they’ve opted to meet every 2 weeks. The Youth Council will focus on mental health issues, the need for better Internet and cellular services, public transportation and public security. They will henceforth give a monthly report at the Regional Council’s public sessions. In a show of support, the MRC Council extend the agreement with Livewell for a 6-month period with new conditions, which will be specified by the Economic Development department of the MRC Pontiac. The MRC Regional Council contributes $5000 to the 2019 edition of the Shawville Lions Country Jamboree. The resolution stems from the Department of Economic Development’s recommendation and that the Festival meets the criteria of the Major Events Policy. The Regional Council approve a maximum a sponsorship of $500 be given to Pontiac Scholarship Fund to encourage the youth to continue post-secondary studies. A sponsorship of $500 is given to Groupe L’Île-du-Grand-Calumet to promote tourism, cultural and heritage attractions of the island in the newspapers, on the radio and on the existing Website and cover annual fees for its use. The Upper Pontiac Sports Complex is awarded a sponsorship of 500$ for the Fred Meilleur Memorial Golf Tournament that will be held on June 28th, 2019. The Alleyn-Et-Cawood Mud run is granted 500$ to collect funds to finance many activities in the community. Établissement des Adultes de la CSHBO is given 250$ to encourage those who have reached their academic goals or will have demonstrated exceptional merit. The MRC Regional Council supports the Mayor and Municipality of Rapides-des-Joachims in their request to the Minister of Natural Resources to transfer land to the Municipality, so it can access parcels of land to attract small businesses or for current residents to expand or renovate existing properties.